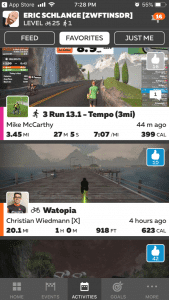 Zwift Companion 3.0 has just released, and it includes a major upgrade to the Activity Feed. 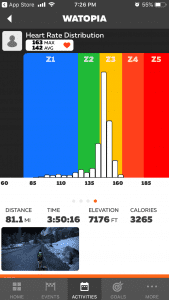 Here’s a look at what we now have at our fingertips with this powerful new tool. 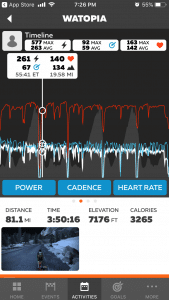 Power/cadence/HR overlayed on the course profile. Nice! 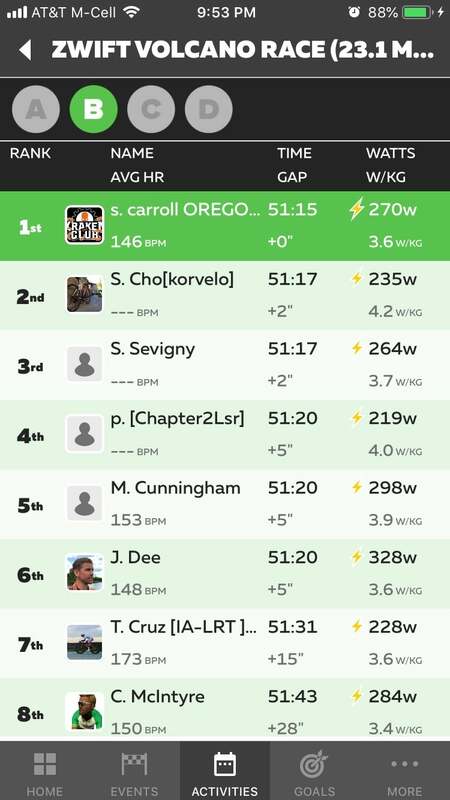 The race results feature is a very cool addition. I do hope it can be made clear in the app that for most races, the immediate in-game results are preliminary results only. Companion shows the in-game finishing order, but riders are often removed from final results because they raced in the wrong category, were not registered with ZwiftPower, or otherwise violated rules of that particular race. 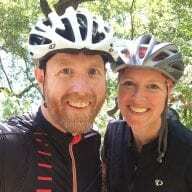 At this time you will need to visit ZwiftPower.com for final results, but displaying them in the app moves us toward a better race experience for everyone. 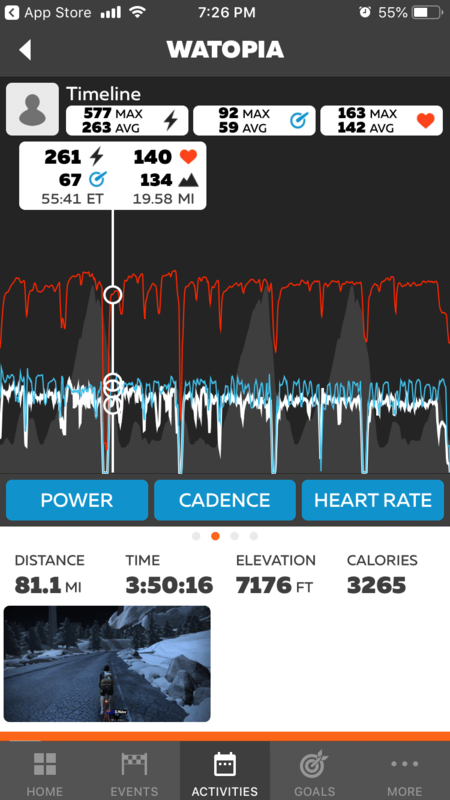 Word on the street is ZwiftPower is going to integrate more tightly with Zwift’s systems in the near future, which could (among other things) provide a way for racers to view final results from within the app. 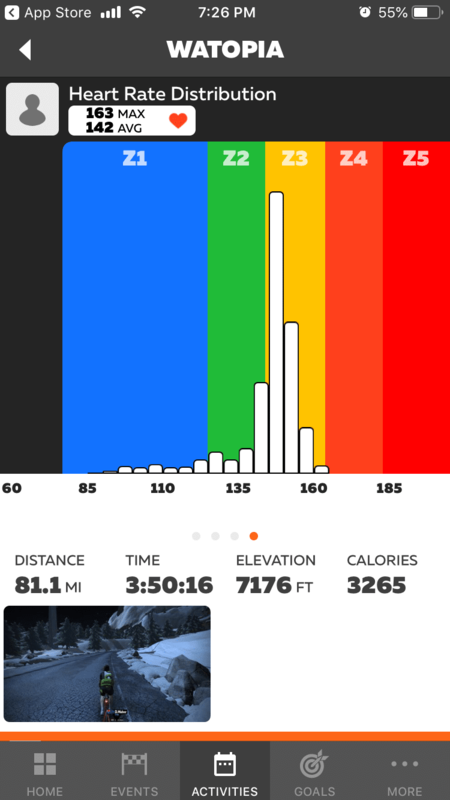 This may be my favorite feature of the new Activity Feed. The ability to comment on activities is huge, because before today there was no easy way to share a comment with someone outside of a quick message in game. 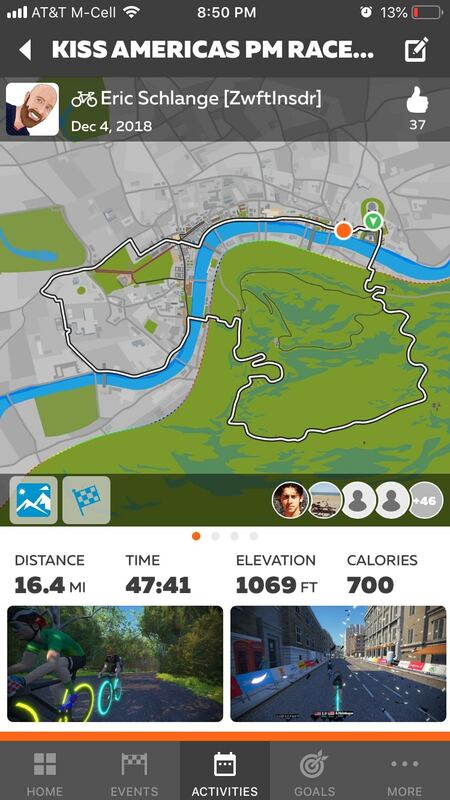 Apart from in-game messaging, you had to track them down on Strava or Facebook, and that was just a big hassle. Activity comments make it easy. 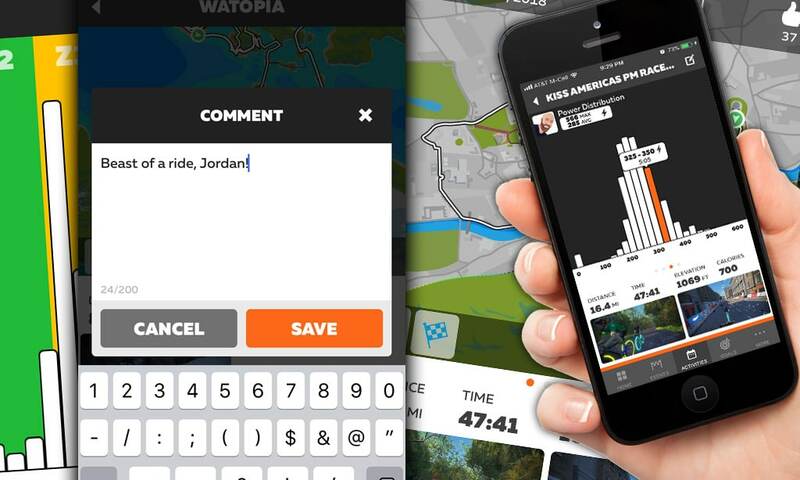 I predict activity comments will be heavily used and will help make Zwift much more social than it already is. 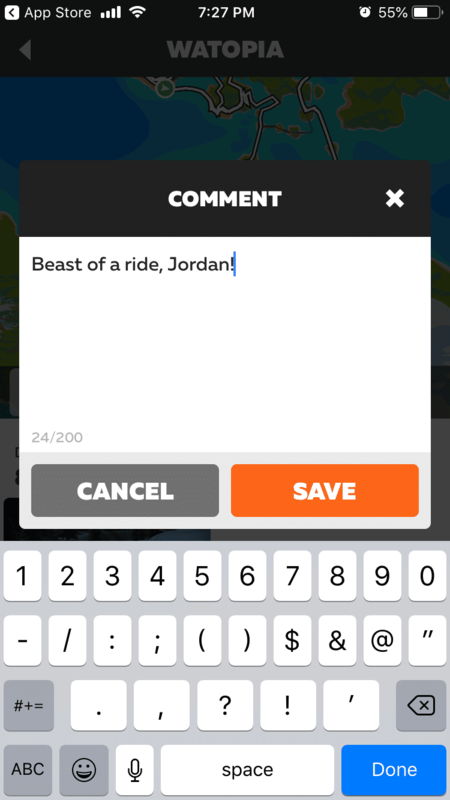 You can comment on any activity which people have shared publicly. Go to Settings>Privacy to change the default privacy setting for your activity, or set individual activity privacy when saving from within the game or by editing the activity from the Companion app after you are finished. 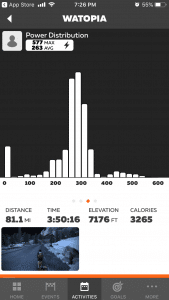 The app development team put a lot of work into these Activity Feed features, and it shows. Well done! 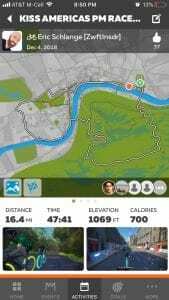 can you use the Zwift Companion app to select turns while riding? I’m afraid that it is actually because these are news only for iphone users (I’d love to be wrong). As Eric’s post does not say a thing whether it is for all platforms or only for iphone or android, you should suppose that this applies for all platforms, don’t you? Nothing personal with Eric, but I find it really annoying when us android users are looked down on like this. Yes. All controls are in the app, including turning, u-turning, switching views, etc. 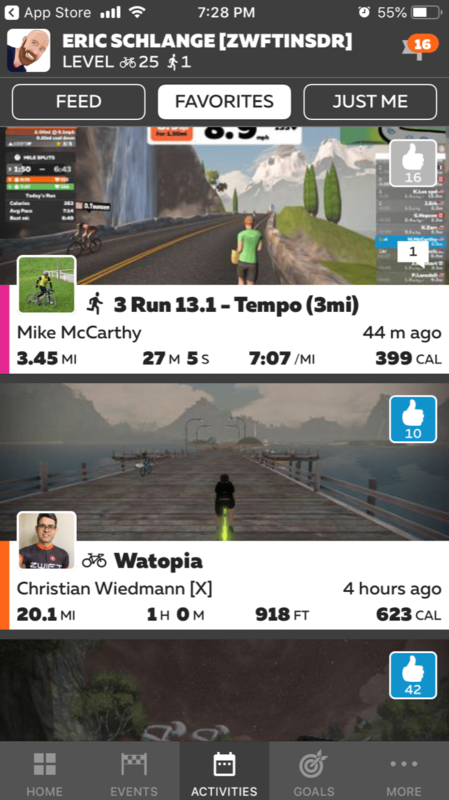 How do you see Zwifters who you follow who are zwifting at the same time as you? Use to go to Activities tab for this but don’t see that list any more. But only the top 3? I used to click on Activities to see all of them. 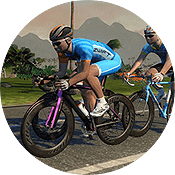 What about clicking the number of Zwifters online now at the top, then clicking “Zwifters you follow”? Does that give you what you want? I wonder if there is a way to reply to a comment. I noticed I can add a comment to my activity, but does a previous commentator get notified? I like the updated Activities page. 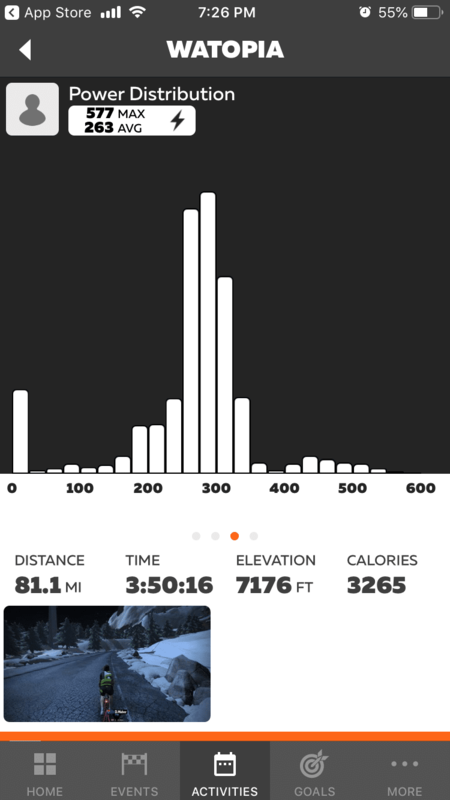 My only question is how do I remove (delete) unnecessary or duplicate images from the first activities page, the one that shows my route?